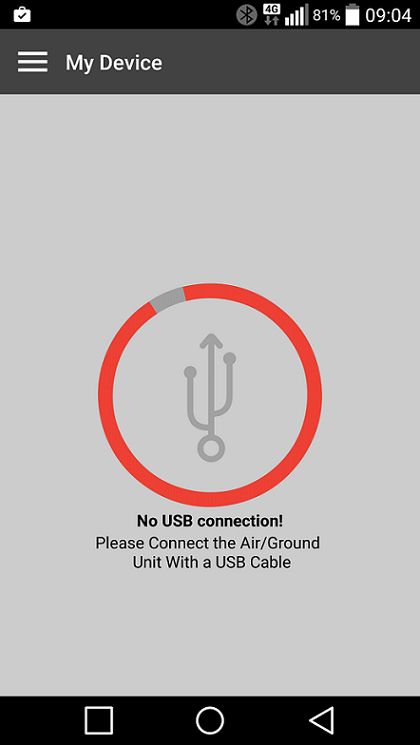 The Air Unit or Ground Unit must be connected to a mobile on which the CONNEX Management application is installed in order to configure that unit. Connect the USB to Micro USB connector to the Air Unit’s or Ground Unit’s USB port. If you launch the CONNEX Management application before connecting an Air Unit or Ground Unit to your mobile device, the following message is displayed. Connect the unit, as described above.